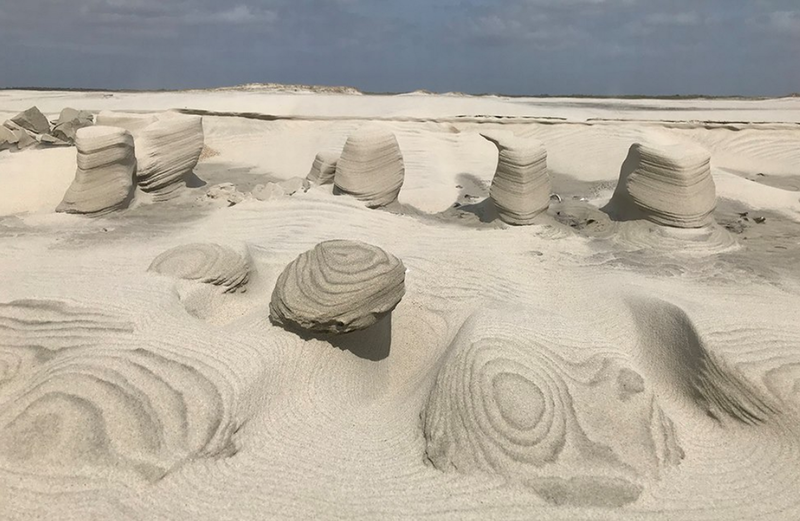 Cape Lookout National Seashore posted photos of the formations Sunday on Facebook, showing the typically flat beach at the North Core Banks dotted with peaks and ruts. National Park Service officials said the formations -- some of which were more than a foot tall -- were caused by strong easterly winds hitting the beach at just the right moment. Read full article with photos & video . . .